Great apartment in between the Old City and the Jewish quarter, even we got parking behind the building, since they have reserved spots for 5 Euro for the night. Super organized company with helpful staff. It was very convenient and comfortable. The location and the facilities were very good. The appartment very comfortable and clean. Furthermore, very close to the centre - You could reach almost every known sightseen with feet. It was nice to have a kitchen and washing machine! Extremely helpful receptionist, nice and clean apartments. Washer, drying racks, fridge, shoe storage, mini toiletries... We had all we needed and felt secluded while having easy access to Old Town. The decor was unique and made it feel like a home. Staff very helpful; allowed us tired travellers to check in early upon showing up at the door. I think it is nice having the reception just off the main squre because you have to walk through it to get your key so you are already trying to orientate yourself. Room was massive! I actually couldn't believe it for the money we paid. Really modern upstairs bathroom with powerful shower. 5/10 minutes from main square which always has a good atmosphere it seems. Excellent Location in the very next street to Rynek Glowny. The Apartment was really big and comfort with a separated bedrom for dauther. :-) All neccessary grossaries were around the corner. The wifi was very easy access and didn't skip a beat for the whole week. The water was hot and the shower was powerful. The washing machine was very useful to keep our clothes fresh. The building was reasonably quiet, everyone seemed to respect the others staying there. Communication and advice from the office staff was excellent. The apartment was amazing and the location was really good not close to the square so it was quite but not too far away either, space wise of the apartment though even great even for 5 grown men. Lock in a great price for Old Town Apartments – rated 8.2 by recent guests! The modern Old Town Apartments are located in various locations of Kraków’s beautiful Old Town and Kazimierz. All come with free Wi-Fi, satellite TV, a fully equipped kitchenette and a seating area. Each apartment is elegant and decorated with bright colors. All have a modern bathroom with either bath or shower and amenities. Car and bicycle rental is available. Additionally, laundry and ironing services can be arranged. Every morning guests can enjoy a delicious breakfast served in a nearby restaurant on the Main Square. Many other restaurants and cafés can be found just minutes’ from the apartments. Old Town Apartments are located within a walking distance to main city’s attractions, such as the Main Market Square, Wawel Royal Castle or Kazimierz Jewish District. 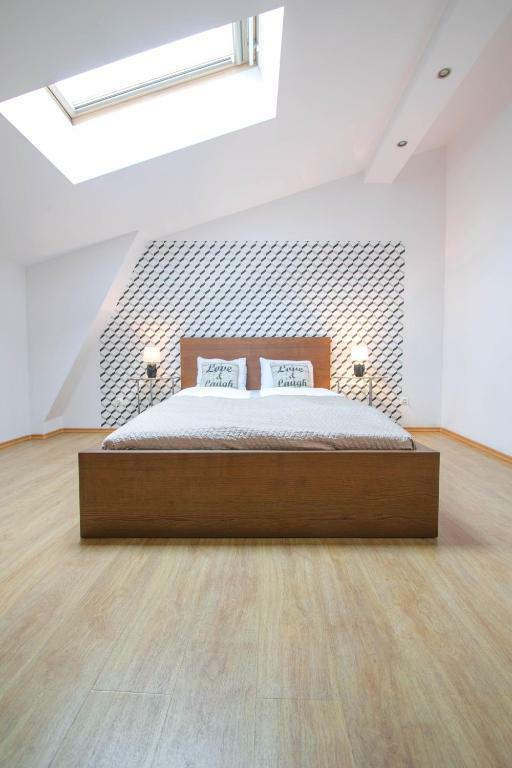 뀐 Located in the real heart of Krakow, this property has an excellent location score of 8.5! A spacious and modern apartment. Please note that this room category is located in Kraków Old Town (Krupnicza 12 street). Spacious apartment with a separate bedroom and a living room. This Apartment is located in the historical area (Slawkowska 11/ Krupnicza 12). A very spacious, fully equipped flat consisting of three spacious bedrooms, a comfortable living room,a kitchen and a bathroom facilities. Classy design. It is located in a historical area (Slawkowska 11). A very spacious, fully equipped flat consisting of two spacious bedrooms, a comfortable living room,a kitchen and a bathroom facilities. Classy design and high ceilings. A spacious two-bedroom flat with a living area, a fully fitted kitchen, and a bathroom with a tub or a shower. This Apartment is located in the historical area (Slawkowska 11/ Krupnicza 12). Please note that this room category is located in Kraków Old Town. 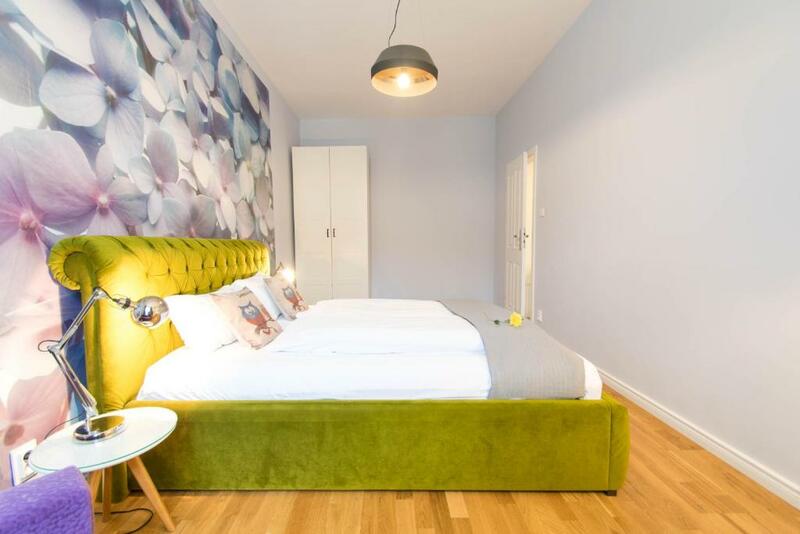 This studio has a double bed, kitchenette and bathroom facilities. It is located on Starowiślna 32 street. This apartment features a electric kettle, washing machine and dining area. It is located on Starowiślna 32 street. This double room has a microwave, stovetop and kitchenware. A very spacious, fully equipped flat features three spacious bedrooms, a comfortable living room, kitchen and bathroom facilities. This apartment is located close to Main Market Square with a quiet backyard. Please note that the apartment is located on the 4th floor and there is no elevator available. A very spacious, fully equipped flat features three spacious bedrooms, a comfortable living room, a kitchen and a bathroom facilities. It is located on Starowiślna 32 street. Bed configuration might vary based on the assigned apartment. 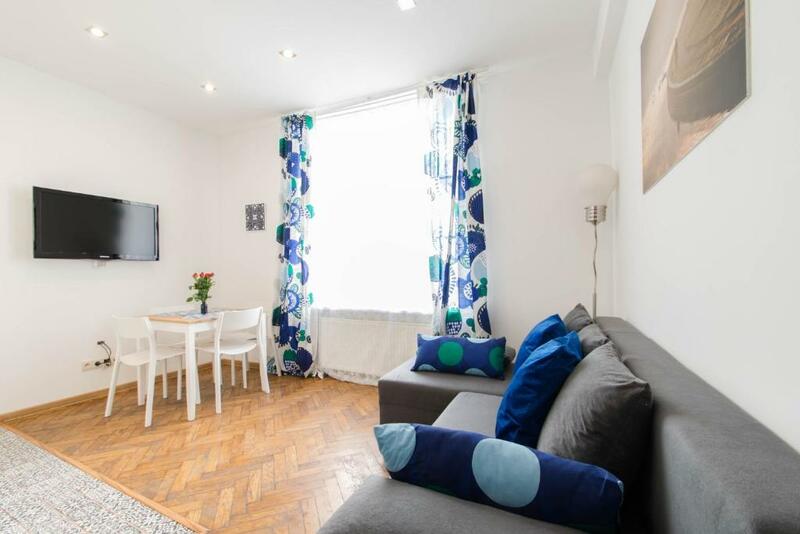 This comfortable and fully equipped flat features one bedroom, living room, kitchenette and private bathroom. This apartment is located close to historical Kazimierz district. This studio features a kitchenware, stovetop and washing machine. This apartment has a sofa, flat-screen TV and microwave. This Apartment is located in the historical area (Slawkowska 11/ Krupnicza 12). This twin room features a microwave, washing machine and toaster. This apartment is located in the Old Town - Slawkowska 11 street. We've been on the market since 2000. Our inventory's grown incredibly since our first establishments. Currently we operate Europe-wide. In Krakow we offer accommodation in a few historical blocks, located in central Old Town or a few minutes walk away - in the enchanting Kazimierz. All flats are fully furnished and equipped with home amenities. They're all located in residential buildings, away from the crowded hotel rooms, receptions to go through, and thus guaranteeing privacy and relaxing atmosphere. Please keep in mind that pictures represent a certain category of apartments ( e.g : studio, one bedroom, etc) and not specific units, the booked apartment being chosen based on criteria of availability. We are a team of devoted and passionate people, friendly and professional, ready to gift our guests with an amazing experience in our beautiful city! 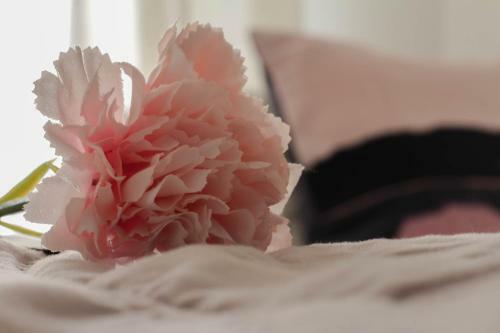 Unique invididuals with high hospitality traits, cheerful and always ready to help in each and every way , our sole purpose being the comfort and happiness of the guest. Starting with the moment of booking and ending with the farewell moment,we assure our guests with full attention, politeness and availability, assistance and a joyful attitude. Want to know us more? Choose us, we will greet you as family and offer you a real home away from home. Our apartments are located throughout the Old Town and Kazimierz District, both wonderful locations with many attractions and places to visit and explore. From having the Main Square within few steps away to the charming jewish quarter with the rich history and well preserved , you'll find it easy to get to every single landmark in town. The enchanting atmosphere of the city will certainly make you want to come back. Enjoy! Area Info – This neighborhood is a great choice for travelers interested in food, restaurants and history – Check location Great location - show map Guests loved walking around the neighborhood! A PLN600 damage deposit is required on arrival (around USD157.63). This deposit will be fully refunded at check-out, as long as there isn't any damage to the property. One child under 6 years is charged PLN 30 per night when using existing beds. All children under 6 years are charged PLN 65 per night for extra beds. Any additional older children or adults are charged PLN 65 per night for extra beds. Old Town Apartments accepts these cards and reserves the right to temporarily hold an amount prior to arrival. Please note that the reception address is 34 Rynek Główny, 31-010 Kraków, apartment 6. The apartments are located in a different building. The reception is open from 09:00 to 20:00 on weekdays, from 9:00 to 17:00 on weekends and closed on public holidays. Late arrivals are subject to a surcharge. Should you arrive outside reception opening hours, please contact Old Town Apartments in advance to arrange key collection or a self-check-in procedure. A damage deposit of PLN 600 is required on arrival. That's about 157.63USD. This will be collected by credit card. You should be reimbursed on check-out. Your deposit will be refunded in full by credit card, subject to an inspection of the property. Nothing to say everything was perfect. The location is perfect. Very friendly staff members and very helpful. Is located on the mean square of the old Krakow with a lot of restaurants, shops. I really recommend this place and will be back in the future. The apartments are just rooms. You have to go in a shared door and another shared door until the door to your room. People in the same door as us would keep it open or not lock it which is a safety risk and made me feel unsafe. The doors don’t actually reach the floor so there is a gap where you can hear absolutely everything including your neighbours that you share the doors with. 24-7 availability for reception on WhatsApp which is nice and easy. Lovely hosts. Clear directions to room with map. Very noisy due to trams running all night ! Beds were not good and you could feel the springs sticking through ! Very basic furniture If accommodation is booked for 5 guests expect the beds to be made for 5 guests ? some areas of the lounge were dirty ! Nice apartment and very near to the Old Town. The acomodation in Booking.com seems very diferent than the reality. Easy checkin with key box and coded access. Apartment was large and spacious with all facilities needed. 10 minute walk from main square, good location. Everything. The room was bare and the furniture, what little there was, and facilities were so dated. Nothing. The room and the whole building was like going back to the 1950's.